To switch to Linux, the company will not require a change of hardware. Linux is compatible with the provided hardware for Windows XP as even some features of windows operating systems are developed using Unix software (Unix is the company that developed Linux operating systems). On the other hand, Linux comes in various ranges that satisfy the individuals given their varied interests. Notably, the inclusion of Linux on the hardware that the company previously used would leave the organization with the alternative of using specific versions of Linux software. Notably, there are versions of Linux, which were released during the same period as the Windows XP software. Therefore, they can work on similar computer specifications and free from any complications. The network that the company has provided, has a broad range of Linux computer operating systems that can be installed on it and enable it to run smoothly with a lot of ease (DiMaggio, 2013). The migration plan by the company from the Windows XP operating systems would be simple and efficient. The company will have to hire technicians who will format and configure the computers in a effort to successfully do away with the windows XP operating systems. They will embark on the task of installing the Linux software. It is notable that the hardware will be wiped off the previous windows, service and maintenance will also be carried out to prepare the computers for the new OS. Before wiping off the previous operating system, the company will have to back up the data on storage devices such as hard disks or back up servers where it can be retrieved after the Linux operating system is installed. The technicians who will be involved will be required to have in-depth knowledge of computer technology and also networking. Information technology experts will undertake the whole process of setting up the computers and networking without faults that might result to technical failures such as network inaccessibility. Incompetent individuals without significant experience may cause data loss to the company or furthermore completely destroy the critical hardware that is a prerequisite for optimal functioning of the systems (Sobell, 2005). Hardware to be used and the installation options. To install the Linux software on the computers, there will be no need for the use of additional equipment in the installation process. All that will be required will be the installation disks or any other bootable storage device where the software will be stored. First and foremost the company will be required to have a running server. The server will be important in holding the install image and also its possible transferring capabilities across the network. The server will be required to have enough storage space to accommodate the software and also have enough space to allow it to run. On the other hand, the organization will also require client devices where the installations will be carried out. Therefore, a stable internet connection will be needed to establish communication between work stations in the network, at the same time offering fast speeds for users that won’t suffer disruptions (DiMaggio, 2013). There are two installation options for the Linux software. There is the manual installation method and the automatic installation method. The manual installation method allows for the use a CD-ROM that is inserted into the CD drive and then run using express settings. This enables a typical installation to take place and such an installation makes the OS capabilities very basic. The manual installation allows for the user to choose from a list of options the features that they require thus customizing their computers to their liking. This option according to (DiMaggio, 2013), presents a difficulty when it comes to updating the systems since during the installation process, updated settings are not installed. This requires updates to run once installation is complete in a bid to make the system up to date. Automatic installation involves the use of a networked system to install an operating system on multiple computers at a time. The automated system however, takes a very long time depending on the number of computers that are connected to the network. The system also has the advantage of automatic installation of the latest versions of the operating system on the computers and this makes the system very customizable to the technicians as it can be tweaked and adjusted to their preferences. Professionals can choose the install packages to add during the install period because they have different functions and specs. Therefore, the automatic system requires a coherent and reliable network system that will be in a position to handling heavy traffic during the whole process of installation. The advantage of the process is that it can be done without the need to be watched over or having anyone manning the whole activity. The organization will employ the automated system of installation when dealing with the computers in order to cut costs and also to test how efficiently their network is working (DiMaggio, 2013). After the computers undergo the booting process, a screen that is slightly similar to the welcome screen in the windows operating system will appear. A prompt will then appear with an argument that is given on a command line. The user is expected to give their login details to gain access to the system. If the login details of the user are correct as had been previously saved in the company’s employee database, then they will access the desktop panel of the computer thereby successfully logging in (DiMaggio, 2013). Account privileges will vary in accordance to a user’s rank, responsibility and clearance as the employees from the lower tiers will have limited access. The whole process of IP addressing will be done manually by the technicians where they will have the options of retrieving the computer manuals to reference the addresses or they can retrieve them from the computer’s network tab. This is done by right-clicking the network icon in the notification area of the desktop. The user then selects the network device and it will show a ten digit number. The ten digit number displayed is the IP address of the computer (Marchesin, 2004). DNS access by the LSDG systems. To access the DNS network on a Linux computer, an individual will have to make sure that they are first connected to the network. If they a connection, they will click on the edit connections which is found in the control panel of the computer. The user will choose an appropriate system on the basis of the type of connection that they are registered on. There are two types of systems; these are wired and wireless connections. The user should then select the IPv4 or IPv6 tab. The tabs are dependent on the kind of connection that the user is subscribed to and it is advised that the user confirms their subscription first. To access the DNS the user ought to change the method to allow for automatic addresses only, the addresses are then entered and save. Therefore, the DNS of the computer will have been accessed and the addresses will be properly and appropriately configured (Sobell, 2005). File access on the network by LSDG. To access the files that are shared across networks, the workstations will have to be organized into share folders. These files when organized in such a manner, will allow users to be in a position to access them remotely. The files will be organized into folders that are referred to as network shares. The folders can be viewed remotely by the users on all of the connected computers through using the file manager option to gain access the network shares. The files will be accessible in a manner where they will be existent in the client computers. However, the level of access to the data will largely dependent on the permissions that are granted to the client computer by the server (Marchesin, 2004). Therefore, to open the files that are shared over a network, the user should open Nautilus and click the network icon. The network icon is available under the place pane. The window provides a display of the servers and networks that the user has an authority to access. The user, therefore, selects a server from the list and views the shares. Authentication of the username is at times necessary to get into the access panel (Marchesin, 2004). Secure file sharing between LSDG and selected users in the company. There are various means by which an individual can send data between two work stations or nodes that are inter-connected in a network. The Linux operating system provides numerous ways in which the files can be securely sent over the workgroups. First and foremost the Nautilus system supports various file sharing protocols like SSH, FTP, smb and web day. These components allow for the sharing of data over a connection. Therefore, the company will not have to suffer a lot in the event of informational dissemination over the networks (Sobell, 2005). To print on any computer, it is mandatory to, first of all, install the printer on the network. Therefore, Linux is no exception for the installation of the devices of the printer before they can synchronize or get a perfect connection. Notably, there are two types of Linux computers which are personal computers and group machines. The procedure is similar to all the computers (Marchesin, 2004). First and foremost the user should go the System icon and click on the administration option. The window that will come up will provide some choices and the user should click on printing. This brings up the option of a new printer and user is prompted to search for a new printing device. The user is recommended to go to the printer option or the LPD option. A list of prompts comes up, and here there is a dialogue where the user enters the details that comprise of the user ID and the queue. The computer will look for the drivers and there I n option of the user manually selecting the printing driver to be used. Then the computer successfully synchronizes with the printer (Sobell, 2005). Data encryption is a modest way of storing information without worrying about external access. The Linux system offers a unique kind of technology that allows for the encryption and decryption of data. The Linux technology efficiently stores the data in an encrypted system and depends on the individual who is using the computer. The loopback components of the software ensure that files are encrypted and at the same time decrypted. Therefore, in the case of encrypted data, the technicians can use the loopback component of the operating system and undo the encryption of data (Marchesin, 2004). In conclusion, Windows XP hardware components that the company has can accommodate the Linux operating systems. 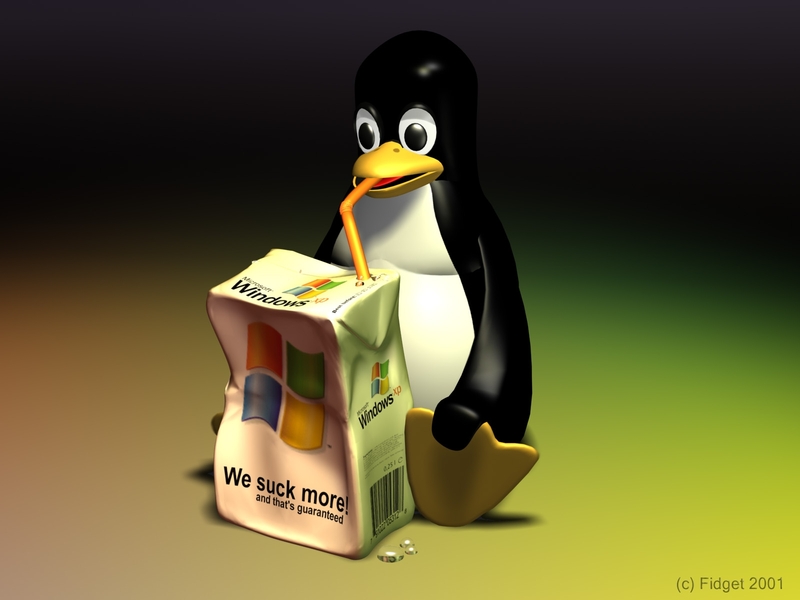 Linux operating system is not as dense compared to Windows system, therefore; a computer will function faster and efficiently while it is on Linux system. While Windows are the commonly used Operating system, Linux provides a user-friendly interface that is much more simple compared to Windows. Installing Linux on a large scale is more time saving when the automatic method is put in place. The method allows for the selection of additional packages that can be installed and can also be left unattended. Therefore, the automatic method presents ease of work and is efficacious in the organizational setup. Moreover, data sharing and internet connection via Linux operating system are made easier through the introduction of simple mechanisms where an individual can access the network control panel. Therefore, Linux is the best operating system that the organization can install on their computers (DiMaggio, 2013).